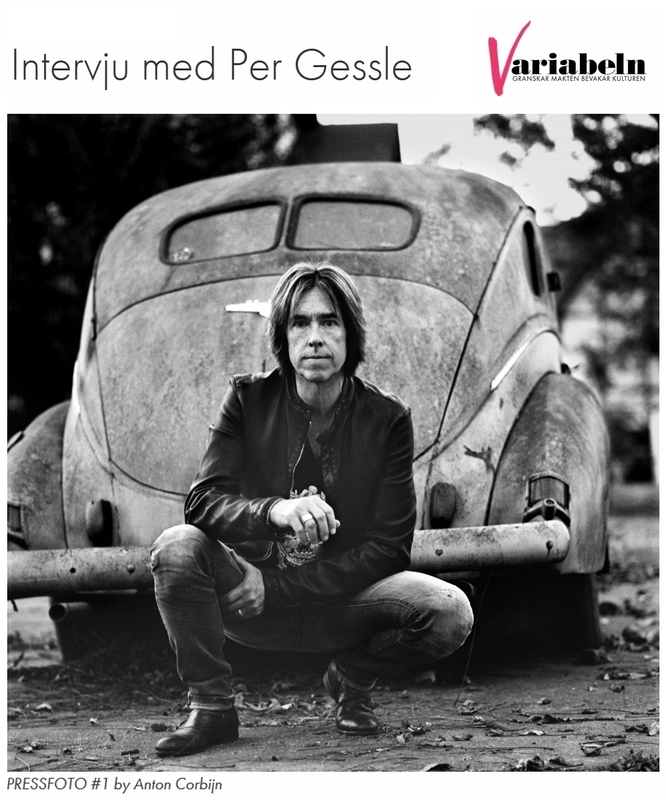 Carl Fredrik Lööw from Variabeln did an interview with Per. He asked Mr. G how a typical day looks in his life. PG said there is almost no typical day. It depends on what he is working with or where he is. When he is in the studio then he usually starts at 10 am and is there until midnight roughly. If he is on tour, then there is a lot of travelling and then a concert in the evening. If he is at home, he usually sits in the office for a few hours and answers mails and keeps everything running. He manages his, Roxette’s and Gyllene Tider’s Facebook, Twitter and Instagram accounts which is fun and doesn’t take much time. And then he writes songs from time to time. It’s a rather messy and varied life but it suits him. Carl asked Per when he started to play the guitar and if he can play any other instruments. PG said he started writing lyrics when he was 14 but couldn’t play any instruments so he saved the melodies in his head. Then he learned to play guitar when he was 16. His first guitar was a nylon-stringed Spanish that he got from his mother. Then came the punk when he was 17-18 years old and then he bought his first electric guitar. Gyllene Tider was formed when he was 19. Mr. G also told Carl that nowadays he plays a little piano, but he is not very good at it. When he writes songs he usually uses both guitar and piano. It’s easier to keep track of the keys on the piano. Carl’s next question was if Per has always loved music. Per replied he has. He remembers his first favorite songs. “Dizzy Miss Lizzy” by The Beatles and “Til The End Of The Day” by The Kinks. He was 6-7 years old then and there was something magnetic in pop music. He liked everything. The amazing clothes, long hair on guys, vinyl records and album covers, tough electric guitars, cocky pop bands. He has been completely swollen by pop romantic since then. To the question what his favorite song is Per replied there are so many great songs so it’s hard to choose a special song. But just the day the interview was done he liked “Moonshadow” by Cat Stevens. He thinks it’s from 1972. Carl asked how long Per has owned Hotel Tylösand and Mr. G said Björn Nordstrand and he bought the hotel in 1995. Time flies. Carl also asked what Per is interested in besides music. PG said he likes cars and follows F1 with great interest. He usually goes to see a race or two every year. Of course, he is a fan of Ferrari. V: – Chips or chocolate? PG: – Chocolate. Though it has to be milk chocolate, I don’t like dark chocolate. V: – Guitar or singing? PG: – Oh, how difficult. It’s super cool both. But I like to sing, especially in the studio. V: – Be free or work? PG: – Work of course. I’m lucky because my work is my hobby.